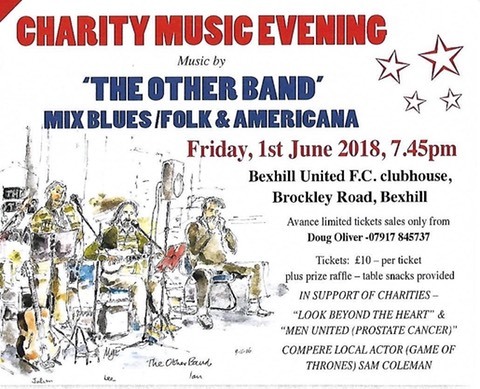 More events comming soon …..
A charity event was held for Look Beyond the Heart on Friday 1st June at the Bexhill United Football Club in Bexhill. Huge thanks to Dog Oliver the organiser, The Other Band for the entertainment, Sam Coleman the Compere, and the football club for hosting such a wonderful event. Moreover a big thank you to all those that bought a ticket as you helped to raise £375 for Look Beyond the Heart. Lynn, Jim and Granny will be raising money for Look Beyond the Heart at this very popular event on Father’s Day. 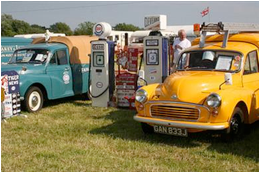 They will be doing a Tombola, selling cakes and the usual collection of Jim’s junk. There will be information about the Charity and the causes it has supported over the last year. Do come and support us if you are able to. We all know that Nicola loved a good boot sale. Well we have decided to attend a boot sale on this day and raise money for the charity. If you are local to East bourne then please feel free to join us and make a donation to the charity from your sales. If you aren't local then you can find a local boot sale to you, attend and donate via our website. We will be attending the transplant games in Bolton to see if we can help and support people who have experienced transplants. If you are local to Bolton then please come along and meet us. This is our very own local Sussex talent show. We will be holding auditions on Sunday 19th October where we will decide who will go through to the final show that will be at the Hippodrom Theatre in Eastbourne. If you are interested in entering then please email us and let us know. Save this page as a favourite or follow us on Facebook/twitter to get further details as they come out.